Summer is in full swing and we will be celebrating Independence Day in no time! 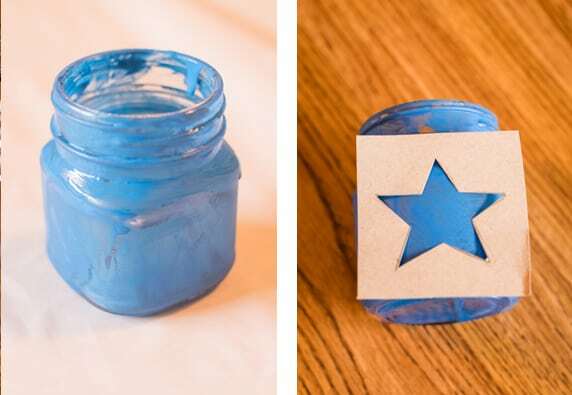 These fun and festive 4th of July crafts for preschoolers are perfect for the whole family. Grab your supplies and your little ones and get started. 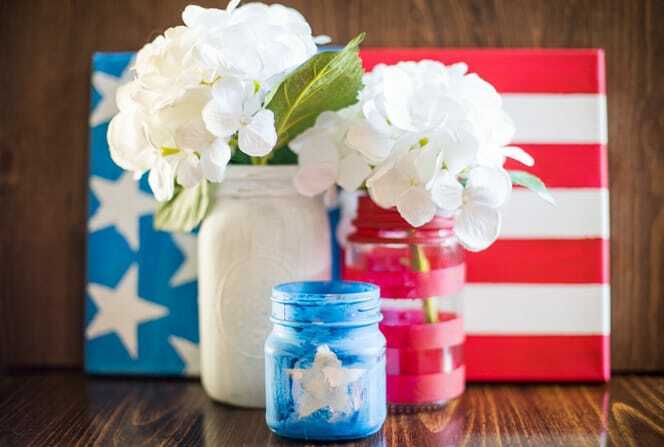 You won’t mind displaying these three 4th of July crafts for preschoolers as home decor, and your little ones will be so proud that you did! Step 1: Choose three mason jars to create a festive center piece. I suggest a small, medium, and large jar. 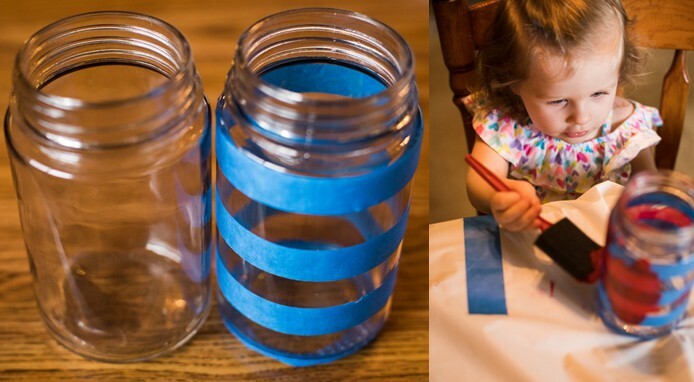 Step 2: Use painters tape to create stripes or a pattern of your choice on the jar. Step 4: Using the sponge, fully cover the remaining jars in a solid color, one blue and one white. 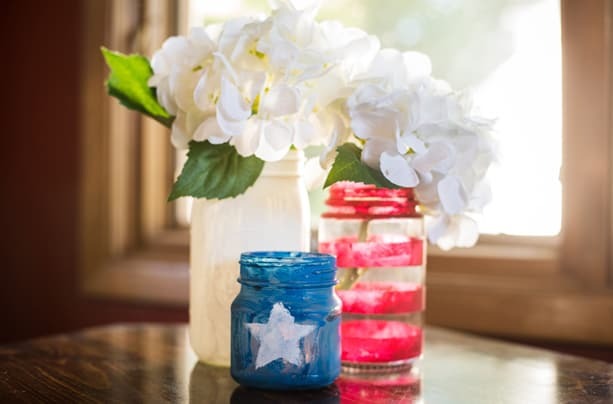 Step 5: Use a star stencil to add stars to the solid jars for a more patriotic feel. 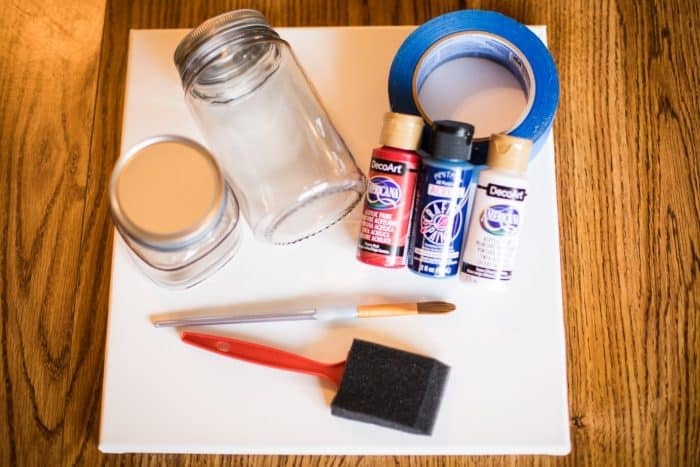 Step 5: Stage your mason jars. Add flowers, tea lights, or ribbon to pull the look together! 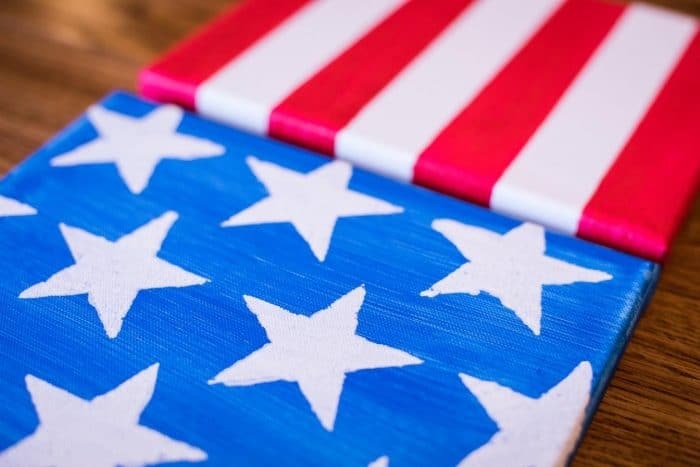 American Flag Crafts Kids can Paint! Step 1: Choose two canvases of the same size. 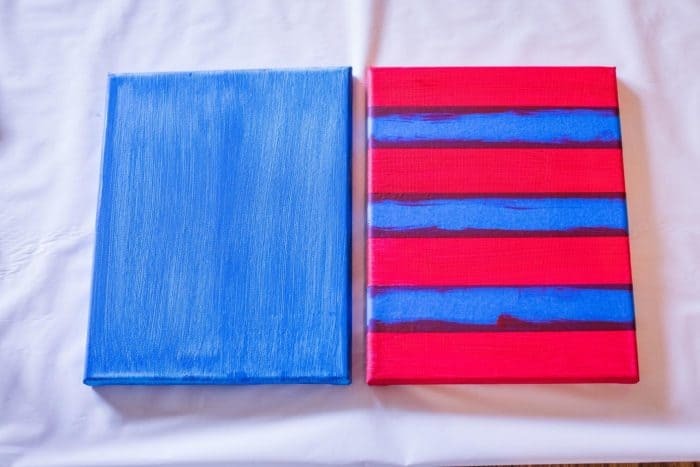 Step 2: Paint one canvas solid blue and use painters tape to create stripes on the other flag. Step 3: Paint the white spaces on the striped canvas with red paint. 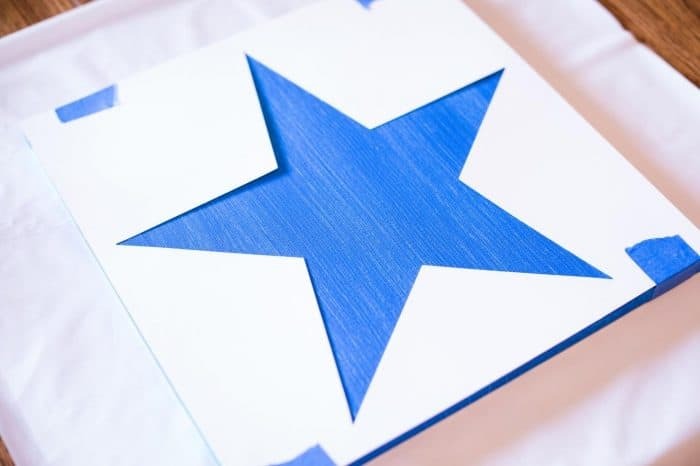 Step 4: Use stencils or free hand paint stars onto the blue canvas. The sponge brush works perfectly for this portion of the project. 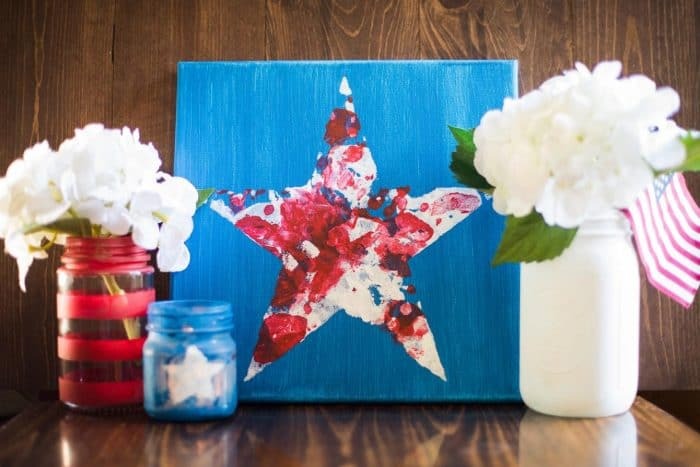 Step 5: Peel off tape and remove stencil to reveal your patriotic canvas! 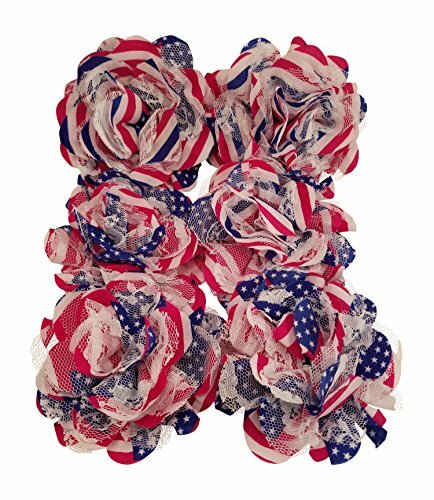 Kids’ 4th of July crafts might need to be a little messy to be fun. 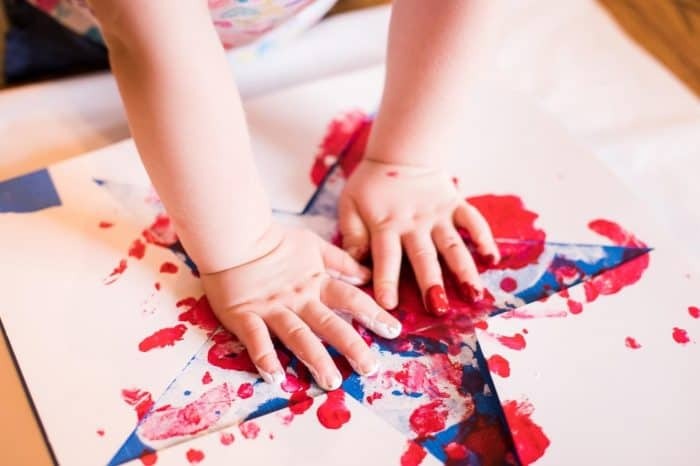 Ditch the brush on this preschool 4th of July craft and let your little one use her hands instead! 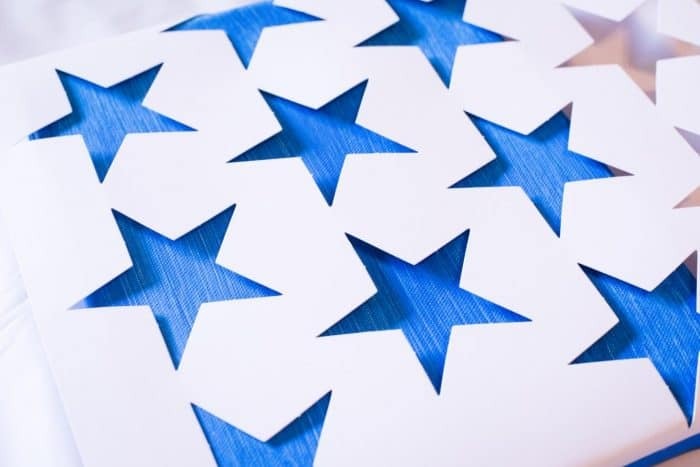 Step 3: Remove your stencil and enjoy your artwork! 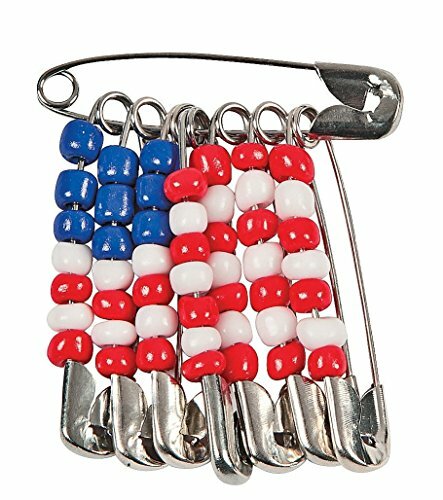 I just love these simple 4th of July crafts for preschoolers because they are so fun and perfect for families. 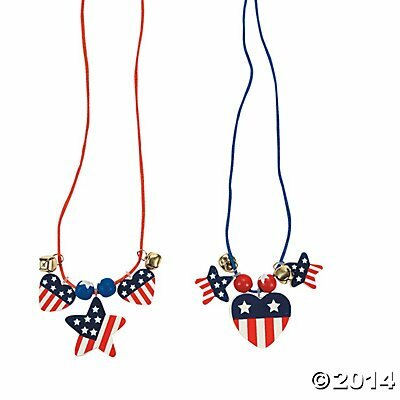 Use your new patriotic décor to decorate your home or for your Independence Day celebrations. Your children will be so proud to see their work on display! Combine any of these projects and create a beautifully festive centerpiece or an art display for your family and friends! Enjoy. 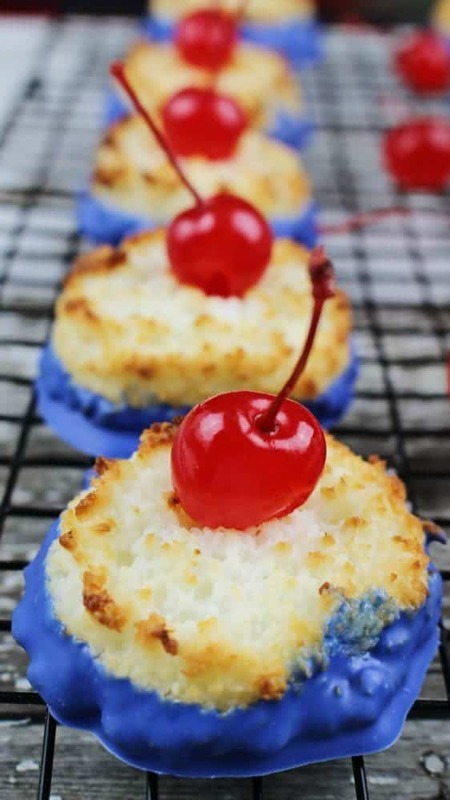 If you enjoyed these kids 4th of July crafts, you might want to make some cherry bomb macaroons together too! Rachael Ralph is stay at home mom and photographer living in Northern Alabama. 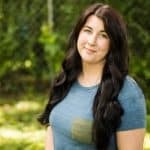 Rachael is passionate about finding ways to make life simple as a young mom of two toddler girls. She loves to find creative and budget conscious ways to make her home beautiful and her family happy. You can also find Rachael sharing images of remarkable people on her Facebook page, Rachael Ralph Photography.